Alongside hiking, fell running, bouldering and mountaineering, cycling is understandably one of the Lake District’s greatest pursuits. The mixed terrain of fells, valleys and woodland means the area offers more variety to the budding cyclist than most, although for anyone new to the pastime it can be difficult knowing where to begin. The region is cherished amongst cyclists for its challenging routes, having several passes winding their way through the mountains, offering the two-wheeler an Alpine experience without having to leave England. A journey through quiet, secluded valleys may not offer the same white-knuckle ride offered by the higher routes, but they have a thrill all of their own and still provide a great workout for body and mind. Our guide below is aimed at those new to cycling in the lakes. With three beautiful routes taking you through peaceful scenery, quiet valleys and winding country lanes, it’s the perfect place to get started. We’ve also included a handy checklist to ensure your bike is in tip-top condition before you set off. Ease on your lycra, fasten your helmet and enjoy the ride! 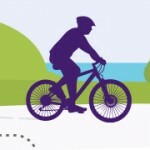 <a href=https://www.craigmanor.co.uk/cycling-in-the-lakes/>Cycling In The Lakes </a> by <a href=https://www.craigmanor.co.uk>Craig Manor</a>.